In OMR – vehicles of all hues drive fast….that is the rule of the road ! ~ are we, Indians, setting a bad example elsewhere too ?!?! Nearer the National Capital, National Highway 2 or NH 2, is commonly referred as Delhi–Kolkata Road - a busy National Highway in India that runs through the states of Delhi, Haryana, Uttar Pradesh, Bihar, Jharkhand, and West Bengal. It constitutes a major portion of the historical Grand Trunk Road along with NH 91 and NH 1 in India. From Delhi, the passage to the Temple town of Mathura and historic Agra was through Faridabad – people were driving faster. The popular joke about Indian roads is that one will have to give way to : Cattle, Elephant, heavy trucks, luxury coaches, SUVs, light commercial vehicles, ox-carts, camels, darting passengers, auto-rickshaws, cycles, cycle-rickshaws, dogs, pedestrians …… ..not necessarily in the same order. Heard of ‘Appalling’ : (Adjective) : Meaning : Horrifying, shocking..
Infrastructure development is the key to development and good roads are paths to industrial progress. Yamuna Expressway, formerly known as Taj Expressway, has been opened to public and there are many comments on the 6-lane (extendable to 8 lanes), 165 km long, controlled-access expressway, connecting Greater Noida with Agra. The Expressway inaugurated in Aug 2012 often gets unwanted attention for the accidents caused by rash drivers. The problems gets compounded by the immature drivers who tend to drive mad when they see a nice open road; besides recurring blow-outs were reported. By some accounts, the higher-than-usual rate of tyre failure on the expressway results from high speed and the cement-concrete road surface. On a road predominantly of cement-concrete, greater heating than bitumen occurs and there are chances of tyre overheating and bursting. It makes sense to drive at moderate speeds and also to break the journey at some point of time. Down under, an Indian is in news for wrong reasons ….. An Indian tourist clocked doing 160km/h and crossing the centre line at least 20 times on a southern road highlights the ongoing battle faced by authorities trying to get foreigners to drive to New Zealand conditions, a New Zealand district court judge says. The "appalling" driving was one of five incidents, including four crashes, involving foreign drivers in the Fiordland area on Saturday. According to theage.com.au and some more newspapers, Vinay Aggarwal, 28, was caught on a police speed camera travelling at more than 160kmh between Queenstown and Milford Sound. Aggarwal admitted a charge of dangerous driving when he appeared in the Invercargill District Court yesterday. Judge Raoul Neave fined him $NZ1000 ($A921) and disqualified him from driving in New Zealand for 12 months. His behaviour highlighted the growing issue of tourists driving in New Zealand, unaware of the necessary standards required on the roads, Judge Neave said. The court was told Aggarwal crossed the centre line at least 20 times while trying to pass a line of traffic, and would have hit an oncoming vehicle if he had not swerved at the last minute. He had been warned by police earlier in the day about his driving and speed. Aggarwal's driving was appalling and utterly unacceptable in New Zealand, Judge Neave said. Jian Shen, 58, of Hong Kong, also appeared and pleaded guilty to two charges of careless driving causing injury, after crossing the centre of the road while travelling around a blind corner and smashing into an oncoming vehicle. A woman travelling in the other car lost four teeth and suffered a facial fracture, while Shen's mother-in-law broke her arm. He was disqualified from driving for six months and ordered to pay $NZ500 emotional harm reparation. Constable Dwight Grieve, of the Southern Highway Patrol, said after the court appearances it was "very very frustrating" to have to keep stopping tourists who were breaking the law on popular southern tourist routes. 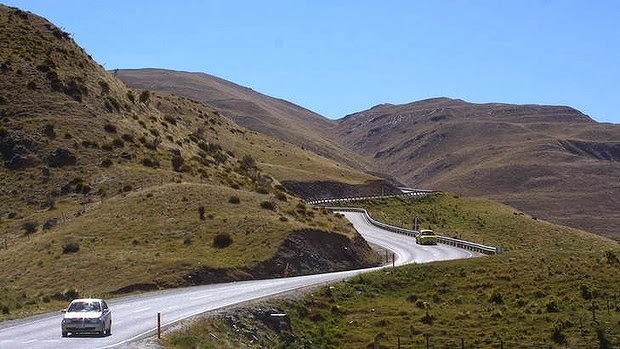 "These people are not bad people but they appear to be driving to their home conditions and not adapting to New Zealand roads and driving standards," he said. The issue appeared to be getting worse. New Zealand was attracting visitors from countries whose driving cultures and standards were very different, and many tourists were also driving high-performance rental cars, he said. Most foreign drivers pulled up adjusted their driving after being spoken to, but unfortunately some did not heed the warning and risked the lives of other road users, Grieve said. Figures released by the NZ Transport Agency show the proportion of fatal accidents involving drivers with an overseas licence has increased.